Designed for use with 36 volt golf carts. 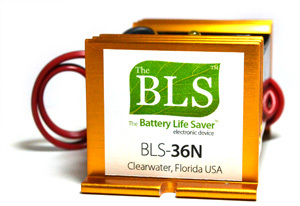 Use this BLS-36A to rejuvenate old batteries and extend battery life in a golf cart or electric vehicle. 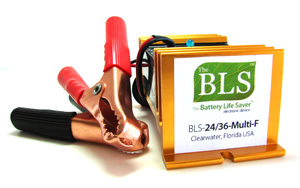 Attach the BLS directly to your batteries and use your cart as normal. 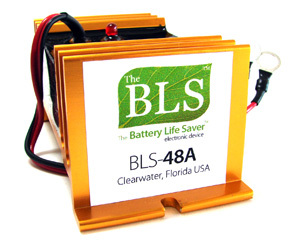 Using our U.S. Patented Wave² Technology, the BLS helps solve the problem of sulfate build-up on the battery plates. 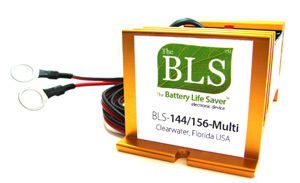 It will rejuvenate old batteries and extend battery life. Ideally mounted full time to constantly keep the batteries in optimum condition. Save money & help protect the environment. 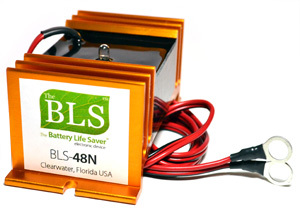 Designed for use with 48 volt golf carts to rejuvenate old batteries and extend battery life. 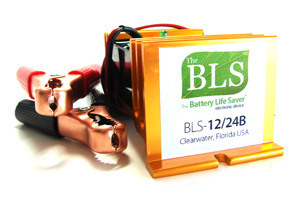 Attach the BLS directly to your batteries and use your cart as normal. 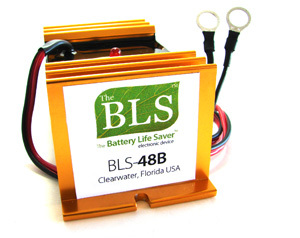 Using our U.S. Patented Wave² Technology, the BLS helps solve the problem of sulfate build-up on the battery plates. 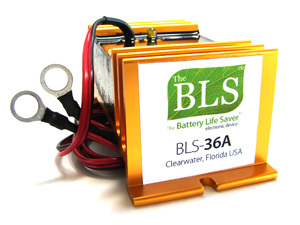 It will rejuvenate old batteries and extend battery life. 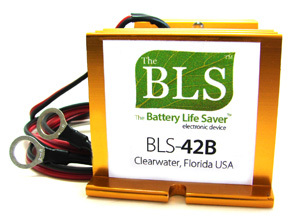 Ideally mounted full time to constantly keep the batteries in optimum condition. Save money & help protect the environment. For 72 Volt NEV's(Gem, Ford Think, or Zen) or 72 volt battery systems. 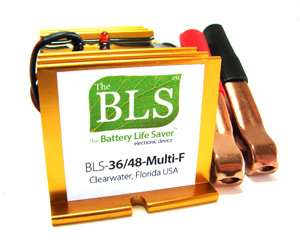 Ideally mounted full time to constantly keep the batteries in optimum condition. The system should be charged regularly. Comes with 3/8″ eye rings for attachment to the battery terminals. ON/OFF switch included. 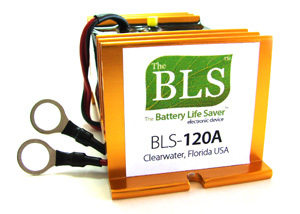 Storage solution for 12 volt batteries. 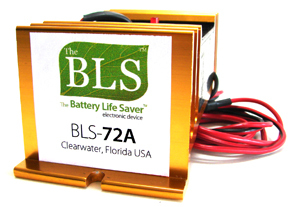 It is also an automatic solution to rejuvenate old "dead" batteries. 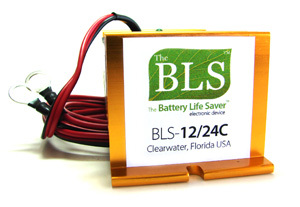 Connect the BLS and the charger to the battery . Plug the charger into the timer, and set the timer to turn on once a day for 4 hours. 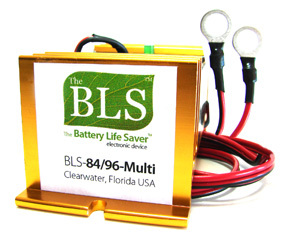 This will rejuvenate your battery and keep it in optimal condition. 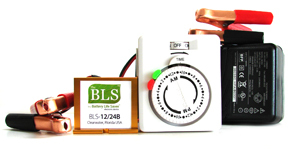 Includes BLS-12/24B, the PKC0CA(12 volt, 2 amp Float Charger) and an indoor timer.